We all want to look younger than the reality of our years. Most of us take the time to care for our skin. But one area we don't spend as much time on is our eyes. And how our eyes look can really impact how we look. Our eyes can easily become dry and irritated due to our constant use of computers, TVs, tablets, and smartphones, as well as the prevalence of contact lenses. And dry eyes are often red and look irritated, making us look older no matter how vigilantly we fight wrinkles. Plus, rubbing itchy or dry eyes can quickly damage the delicate skin surrounding the eye, leading to wrinkles and sagging even if you're careful about protecting the skin from the sun and other threats. Fortunately, new research is shedding some light on what causes dry eyes, which could lead to better solutions in the future. As you might have guessed, the tear film helps keep your eyes feeling moist and comfortable. The tear film is made up of three layers: mucin, water, and lipids. It's the lipids' job to keep water from evaporating off the surface of the eye. Lipid abnormalities are a key culprit in dry eye diseases. And, so far, researchers haven't known enough about how this lipid layer functions to come up with good solutions. That's now changing. Researchers in Japan genetically engineered mice to be missing an enzyme that makes fatty acid chains (lipids) longer. They noticed that the mice suffered from dry eye disease, and many developed cloudy corneas over time. The researchers believe that their work has helped them identify the gene responsible for synthesizing the long-chain lipids needed to prevent dry eye disease. This is a promising future area of study that could lead to transformative treatment options for people with dry eyes. But there's plenty you can do now to relieve dry eyes. You can help to minimize dry eye symptoms by limiting your screen time and being sure to look up and blink often when you do need to use a screen for an extended period of time. 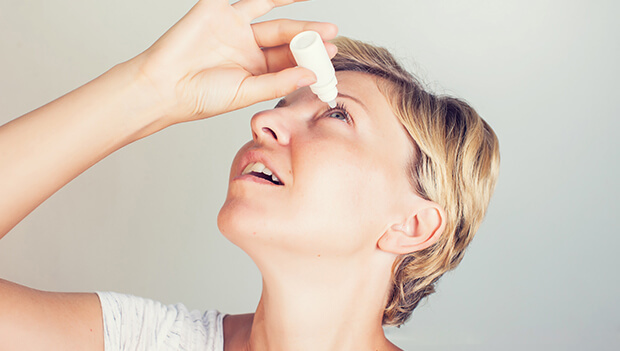 "Refresh" eye drops, often recommended by ophthamologists, are an easy topical solution. Qi Ju Di Huang Pian provides what is called Yin or moisture for the eyes. You can find this for a very reasonable price at http://www.activeherb.com/qiju/. Take as directed. It usually takes about two to three bottles to notice a significant difference. You also can give the skin around your eyes a little extra TLC with a product like the Système 41 Eye Serum. A good serum will help repair some of the damage you may have inflicted from rubbing your eyes. 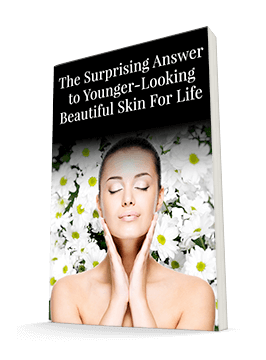 The Eye Serum is in a base of hyaluronic acid, so the skin repair is not superficial. It helps the delicate tissue hold more moisture. Sumino H, Ichikawa S, Abe M, Endo Y, Ishikawa O, Kurabayashi M. Effects of aging, menopause, and hormone replacement therapy on forearm skin elasticity in women. J Am Geriatr Soc. 2004;52:945-949.